Delivering improved varieties and crop protection through high quality seed is a vital component of agricultural production systems. It is critical that seed producers and marketers understand the biological factors that contribute to the development and maintenance of seed health, vigor and viability, and how those qualities are measured. 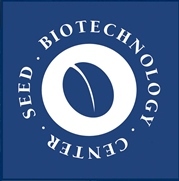 This course presents the scientific background and technical protocols for assessing, enhancing and maintaining high seed quality and updates participants on new information in these topics, including seed pathology and enhancement. The course targets quality assurance professionals in the seed industry, new employees, consultants, breeders and seed producers to extend and update their knowledge.